Scouring Manhattan bookstores our contributor came across the 250-page life story of a woman named Diana Fredericks. 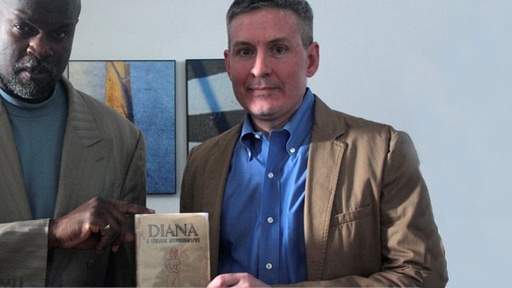 The book, Diana: A Strange Autobiography, tells a sympathetic story of how one woman discovers that she is a lesbian. Few books dealt realistically with lesbianism before the 1960’s. Experts call this book groundbreaking as one of the first works of gay literature with a happy ending. History Detectives sets out to find the author. Who is Diana Fredericks? And is this story true? Full introduction, publisher’s note and forward to Diana: A Strange Autobiography. Also with Tukufu Zuberi Mail Order Brides Are these images evidence of mail order brides in 1890s Chicago? Also with Tukufu Zuberi Bill Picket Saddle Did this saddle ride into cowboy history with one of rodeo's most daring innovators? Also in Depression and WWII: 1929-1945 Leopold Medal What does this medal reveal about a top-secret American Military project during WWII? Also in Depression and WWII: 1929-1945 Drone Propellor Could this propellor have powered a top secret weapon that transformed modern warfare? Also with Tukufu Zuberi Texas Servant Girl Murders Years before Jack the Ripper, did a serial killer walk the streets of Austin, TX? Also in Season 8 Face Jug What does this ceramic face reveal about the Middle Passage and a captive people’s search for identity?